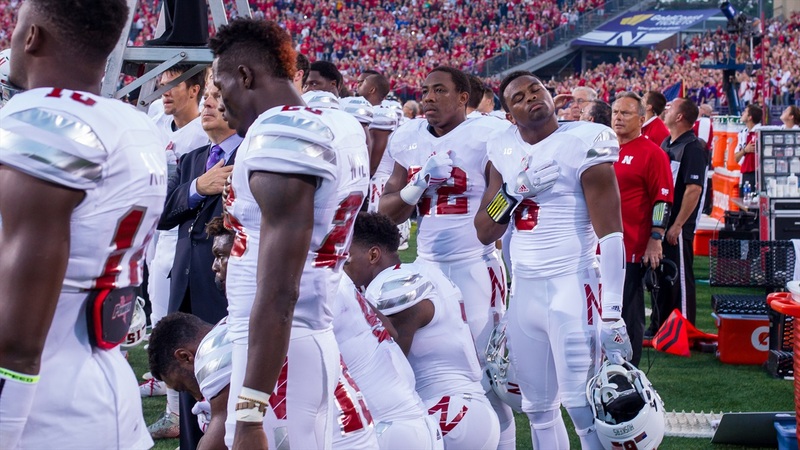 Three Nebraska players knelt Saturday night during the national anthem prior to the Huskers matchup with Northwestern. Those players were freshmen Mohamed Barry, Daishon Neal and Michael Rose-Ivey. Head coach Mike Riley spoke about the players' decision to kneel during his post-game press conference, commenting specifically on Rose-Ivey. Defensive tackle Kevin Maurice also spoke about Rose-Ivey's decision to kneel. "I think we received [Rose-Ivey's talk] very well," Maurice said. "We respect Mike, we respect his decision and we respect everything that he did to shine a light on what’s going on. He spoke to us and it was a passionate speech. "He’s kind of one of those guys that really feels passionate about the topic and you can see that with the way that he responds on social media and just the way that he talks. That’s something that’s really important to him and we supported him throughout."